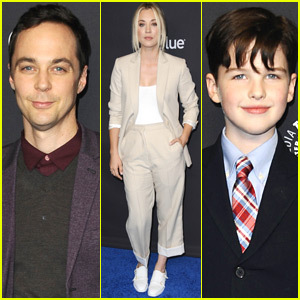 'Young Sheldon' Renewed for Seasons 3 & 4 at CBS! 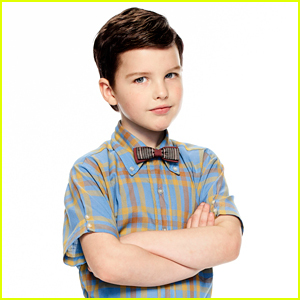 Exciting news for Young Sheldon fans! 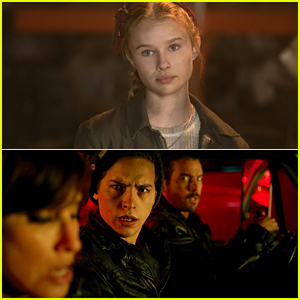 The CBS series has officially been picked up for two more seasons, the network announced on Friday (February 22). The single-camera comedy – a prequel to The Big Bang Theory – follows 10-year-old child genius Sheldon Cooper (Iain Armitage) as he tries to fit in with his family and classmates in East Texas. The show also stars Zoe Perry, Lance Barber, Montana Jordan, Raegan Revord, and Annie Potts. Jim Parsons, aka adult Sheldon on Big Bang Theory, serves as the narrator. Young Sheldon is the second most-watched comedy behind Big Bang, Variety reports. Big Bang, meanwhile, will air its series finale this spring after 12 seasons. Check out this brand-new clip from Toy Story 4! 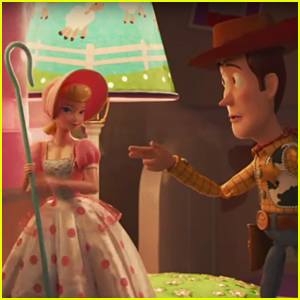 Disney and Pixar dropped the new footage on Good Morning America on Friday (February 15). 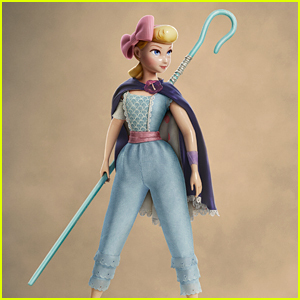 It features Bo Peep and Woody – voiced by Annie Potts and Tom Hanks, respectively – staging a rescue mission to save a toy in danger of being swept away by a rainstorm. Bo will have a key role in the plot of the fourth movie after being left out of the third. 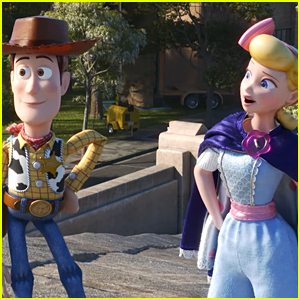 Besides Woody, Buzz, and Bo Peep, other returning characters will include Jessie, Dolly, and Mrs. Davis, aka Joan Cusack, Bonnie Hunt, and Laurie Metcalf, respectively. Toy Story 4 hits theaters on on June 21! Check out more teasers here and here if you missed them. Rachel Bloom was shimmering on the blue carpet at the 2019 Critics’ Choice Awards! The Crazy Ex-Girlfriend actress stepped out at the event on Sunday afternoon (January 13) at the Barker Hangar in Santa Monica, Calif.
She was also joined by Justina Machado and Allison Janney, who were all nominated in the TV Best Actress category. They were also joined at the event by TV Best Supporting Actress nominees Annie Potts, Miriam Shor and Rita Moreno. Make sure to tune in TONIGHT for the Critics’ Choice Awards, which will air on The CW at 7pm EST. The show honors the best in both movies and television. FYI: Rachel is wearing a J Mendel dress, Beladora jewelry, Nicholas Kirkwood shoes and carrying a Tyler Ellis clutch. Justina is wearing a J Mendel dress, Jimmy Choo shoes, Dena Kemp jewels and carrying a Tyler Ellis clutch. Allison is wearing Alberta Ferretti with Sarah Flint heels, Neil Lane jewelry and carrying a Jimmy Choo clutch. Miriam is wearing a Julien McDonald dress, Stuart Weitzman shoes, Jacob jewelry and carrying a Hunting Season bag. Annie is wearing Jovani. Jim Parsons and Kaley Cuoco hit the blue carpet as they arrive at the 2018 Paleyfest on Wednesday night (March 21) at the Paley Center for Media in Los Angeles. The Big Bang Theory stars were joined at the event by their fellow co-stars Johnny Galecki and Kunal Nayyar as they stepped out to promote their hit show. 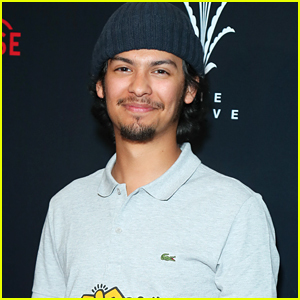 Also stepping out for the event included the show’s creator Chuck Lorre along with Young Sheldon stars Iain Armitage, Zoe Perry, Annie Potts, Raegan Revord, and Montana Jordan. FYI: Kaley is wearing a Sandro suit, Wolford bodysuit, Stuart Weitzman heels, Ileana Makri earrings, and Mateo rings.